Spohn Precision Inner Tie Rod End - 1978-1987 GM G-Body: Regal, Malibu, Monte Carlo, etc. Application: 1978-1987 GM G-Body: Regal, Malibu, Monte Carlo, etc.Replace your worn out inner tie rod ends on your 1978-1987 G-Body car with Spohn precision tie rod ends. 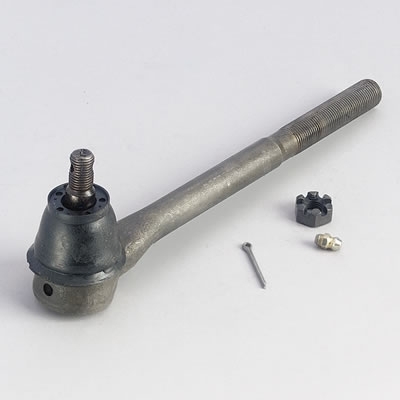 Our precision tie rod ends are designed as OEM replacements for your stock units. Spohn precision inner tie rod ends feature CNC machined threads, forged and heat treated alloy steel housings, chrome moly studs and high durometer rubber dust boots. Since Spohn precision tie rod ends are greasable, friction is reduced, and contaminants are flushed out. Our CNC machined threads provide for a precision fit unlike our competitor's mass produced pieces with rolled threads.